Our city will be spinning with all things design, September 16-22, with the new Modesto Architecture & Design Week (MADWEEK). Cities across the globe – from Barcelona to Buenos Aires, Vancouver to Vienna, Copenhagen to Cape Town, Shanghai to San Francisco – all host design weeks to elevate the education, understanding, and connection of people with design. Design weeks celebrate the value and potential of design to advance creativity, economic opportunity, innovation, and overall quality of life. Since 2008, Modesto has been host to the award-winning Modesto Architecture Festival that has attracted as many as 5,000 people annually to our city. As the festival celebrated it’s 10th anniversary last year, it has now evolved into the Modesto Architecture and Design Week (MADWEEK), broadening its focus beyond architecture alone to include all design disciplines, including: architecture, fashion design, graphic design, interior design, landscape architecture, product design, social design, and user experience (UI/UX) design. The new MADWEEK celebrates architecture and design as both an art and a science, and heightens public awareness of architecture and design and of the value that architects and designers play in creating more beautiful, creative, innovative and livable communities. MADWEEK is a collaborative effort between the Modesto Art Museum, the American Institute of Architects Sierra Valley (AIASV), Modesto Design Collective (MO.DE), the American Society of Landscape Architects (ASLA) California Sierra Chapter, and many other community partners and sponsors. “Modesto has a rich and remarkable heritage of design, innovation and invention dating back to the 1800s and continuing over nearly 150 years across all areas, industries and sectors of Modesto and across all design disciplines,” says Lee Davis, founder of the Modesto Design Collective (MO.DE). “MADWEEK is about celebrating our unique design heritage and demonstrating the value and vibrancy of design today in our city.” As Modesto approaches its sesquicentennial in 2020, our local design community is a powerful ally in envisioning the future of our city. Saturday, September 22nd. 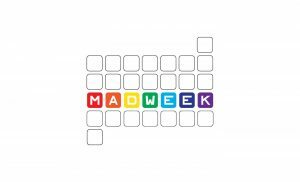 The MADWEEK 2018 schedule includes a myriad of events designed to inspire, including exhibits, family & kids day, films, networking events, speakers, studio visits, tours, workshops, and more. · MADWEEK Opening Event: MADWEEK kicks off with an iconic cinematic and design masterpiece, Alfred Hitchcock’s classic, North by Northwest, and with a preview of its trendsetting architectural and design elements. · Open Studios: Each weekday during MADWEEK, participants have the unique opportunity to visit and meet designers behind some of Modesto’s most admired creative firms, tour their studios, and learn about their process and work. 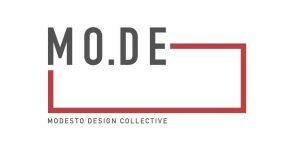 · Networking: the Modesto Design Collective (MO.DE) hosts its second annual professional and social gathering for local designers at the Gallo Winery on Tuesday, September 18th, including an inspiring keynote speaker, and visits from a variety of professional design associations. · Workshops: MADWEEK features a series of professional design-related workshops, including a home history workshop to uncover the history of your Modesto house; Brand Camp, a practical workshop on branding your business or organization; a workshop on creative messaging, and a session on professional pathways and careers for young designers. 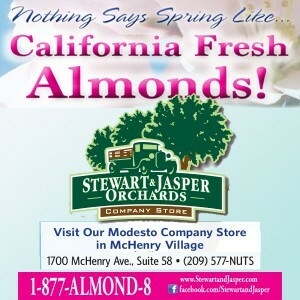 · Tours: MADWEEK includes nearly a dozen guided and self-guided tours of Modesto’s historic landmarks, modernist gems, the 19th century McHenry Mansion, behind the curtain of the Gallo Center, and downtown Modesto architecture, etc. · Exhibits: MADWEEK celebrates several local exhibits celebrating Modesto’s architectural and design history, including a photo exhibit of Stanislaus bridges, and of the button collection of acclaimed New York fashion designer and author Hazel Doten, both at the McHenry Museum. · Meetups: MADWEEK includes several professional meet ups, including for local area designers interested to learn more about human-centered design for social innovation; and a Free Code Camp study group for designers to learn coding. · MAD Film Night: the popular architecture and design film night returns with a fun evening with a remarkable selection of short films on architecture, fashion, graphic, interior, product, and social design. · Cardboard Challenge & Day of Creative Play: MADWEEK includes a fun Saturday afternoon engaging families and kids in designing and building games and other creations from cardboard and recycled materials. MADWEEK is dedicated to making Modesto a vibrant design capital that celebrates and supports design and the broader creative community. Join us for a week of design MADness!